Meet the Staff of Arrowhead Arthur Murray! Nobody makes learning to dance easier than Arthur Murray. Our trained professionals can make you feel at home in the friendly atmosphere of an Arthur Murray Dance Studio so you can feel comfortable on any dance floor and with any dance partner. Arthur Murray® instructors are specially trained and certified and can put you in touch with today’s most popular dances to make you a comfortable social dancer or a competitive hobby dancer. The choice is yours and we’ll help you achieve it! Samantha has been a competitive ballroom dancer since 2004. As an amateur she was an undefeated Rhythm champion as well as winning 9-Dance and 10-Dance championships. In 2009 she began competing professionally in West Coast Swing winning numerous showdance and strictly swing Championships. Samantha took a brief hiatus from competition in 2011 to dance in the show “Le Reve” at The Wynn in Las Vegas as well as being a featured performer in many shows in the Las Vegas strip. When she returned to the ballroom world in 2015 she competed in international ballroom and American Smooth and quickly became a Rising Star and Open Professional Finalist in both styles. Samantha is known for her theatrical and dramatic dancing both professionally and with her students. 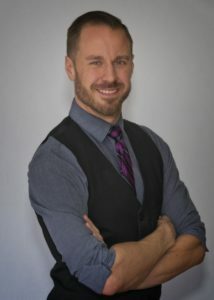 Lowell has been teaching for Arthur Murray’s for over 20 years. 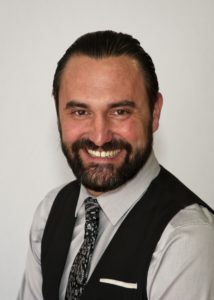 He has held every position in a studio from new student specialist to franchisee. Prior to Arthur Murray, Lowell was a Music theater Voice Major and loves Music Theory. Dance of all kinds has fascinated him since he was a child. In addition to ballroom, he has studied Hip Hop, Ballet, Tap, and African Dance. Teaching, as well as performing, are passions in which he has found the perfect home at with Arthur Murray’s. 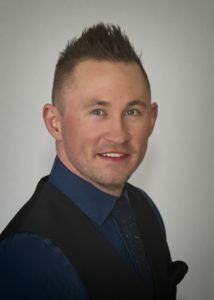 Justin has been teaching Ballroom dance with Arthur Murray for over 15 years and has taught in 3 different studios. 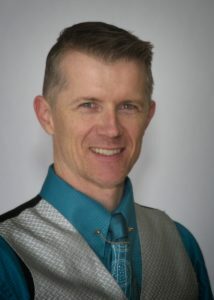 He is driven by his passion for the tremendous positive impact that he has seen dance have on his students’ lives. In his own life, dance has become an outlet for creativity and expression, as well as a vehicle for self development. Past competitive achievements include Arthur Murray Rising Star Smooth Champion and several one-dance titles including American Lindy Hop Champion. He is most proud of watching his students accomplish their goals, whether it be dancing socially, wedding dances, or achieving new heights in competition. Jonny grew up playing a lot of instruments (Saxophone, Guitar, Bass and even Violin), as well as being involved in every sport imaginable. Prior to starting on his dance career he had already accomplished being a Boston Marathon Qualifier and is a 3-time Iron-man Triathlete! He started with Arthur Murray at 22 after recovering from a soccer injury, and his drive and energy to grow into a Professional Competitor. He describes himself as being ‘in love’ with Ballroom Dancing, enjoying seeing Students learn and grow from their first step on the floor! He has the honor of having been a Rising Star Finalist, as well as an Open Pro Finalist. Racheal loves dancing, music, writing and any other art of expression she can find! At Arrowhead, she makes sure that the little moments are captured on film and remembered for as long as Social Media will hold them… With an eye for candid scenarios and an innocent kind of fun, she works to make sure that photos and videos of routines, Showcases and special events are available to share and laugh about later! Nothing is off-limits in a funny clip video, so watch out! Racheal is a certified Ballroom Instructor and started dancing at 11 years old.